Upgraded with Stop Flat II Tire Puncture Protection Liners and Alloy Pedals with Strapless Nylon Mini Clips. Now featuring an internally geared three speed. Simplicity of maintenance, clean lines and smooth shifting are guaranteed. Utilizing our tried and true classic citi bike frame in conjunction with new color offerings will ensure the bike is as stylish as it is functional. Retro in concept and modern in components the new Biria three speed is the definition of practicality and ease of use. Personalize your new Biria with a basket or panniers to suit your personality or intended use. 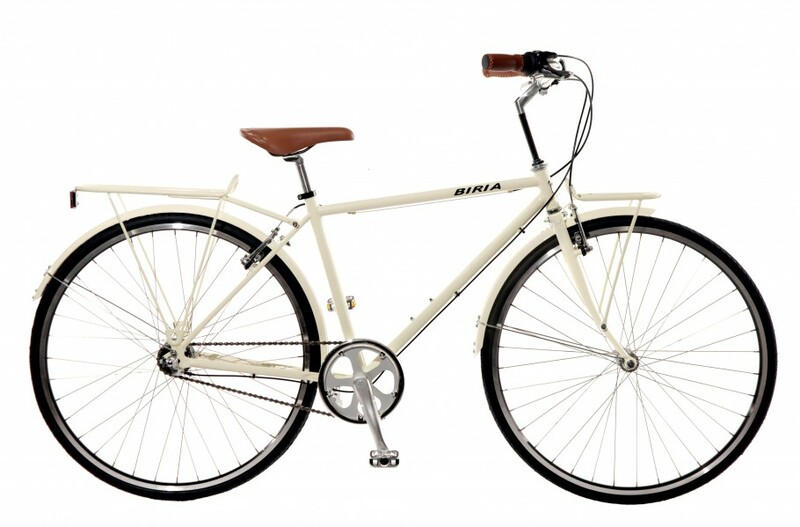 The new Biria three speed will be your foundation for fun filled days in the saddle!! !